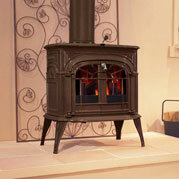 With its compact size and optional short legs, the Intrepid II from Vermont Castings will fit just about anywhere! 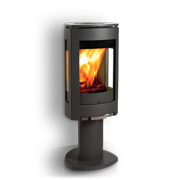 This compact catalytic wood stove offers high efficiency – more heat from less wood – as well as a clean burn, making it great for the environment as well. 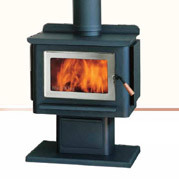 With a standard automatic thermostat and front or top loading convenience, the Intrepid II also offers optional warming shelves with mitten racks, a clearance reducing rear heat shield and your choice of classic Vermont Castings enamel colors. 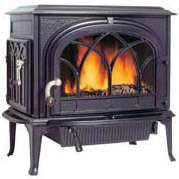 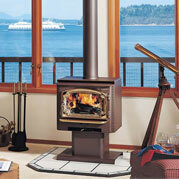 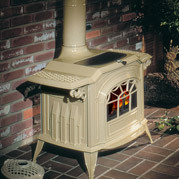 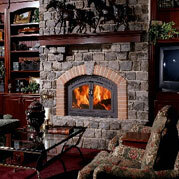 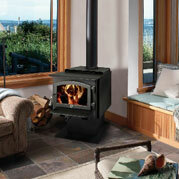 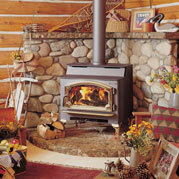 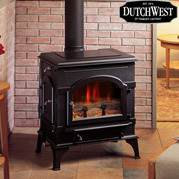 This beautiful little wood stove may be small in size, but it’s certainly not short on style.